The ingenious design of the UberLayer Hooded Jacket places Polartec® Alpha® – a water-resistant and highly compressible Active Insulation – between a polyester mesh lining and a highly breathable nylon shell, dumping excess heat when you're on the move but holding it in during downtime. 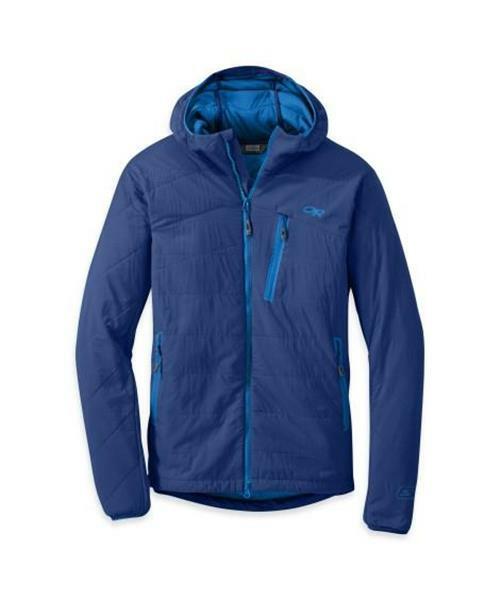 Perfect for aerobic climbs and ski tours, this backcountry chameleon provides the warmth of a synthetic puffy one moment and the breathability and quick-dry performance of a fleece the next, all without forcing you to add, remove or adjust your layers. * Weight: 19.9oz / 563g.